Now that I have an extra backup of my Mega CD save files on the Sega CD Ultra Backup RAM cart I can replace the battery of my the old CD BackUp RAM Cart without worrying about data loss. It is possible to do an open heart surgery to prevent the memory from being erased and replace the battery while the Mega CD is turned on . I went for that procedure to avoid having to copy all files from one cart to another again. 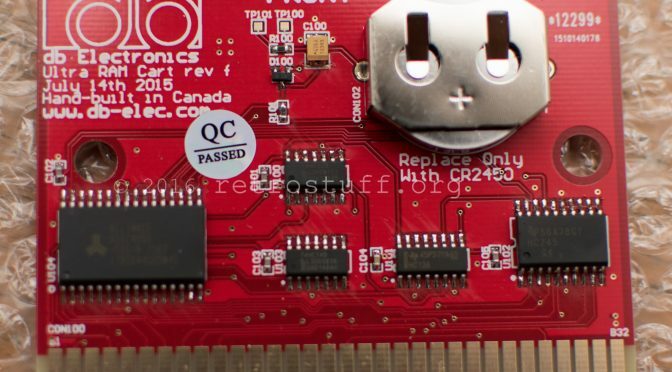 The cart on the right-hand side is a new backup RAM cart for Mega CD with 8189 blocks of memory. 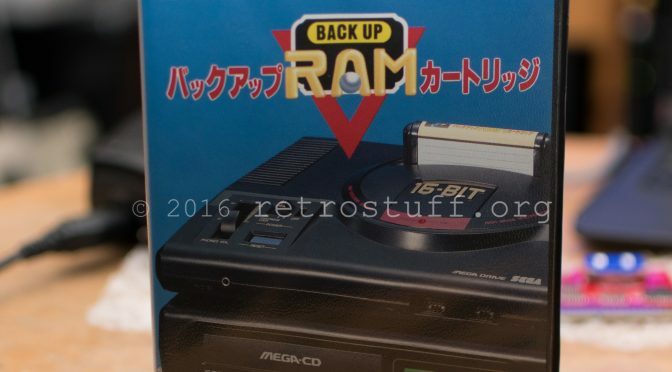 That’s four times as much memory the original Sega Backup RAM Cart has available for storage (2045 blocks). I’ve bought an used Sega cart in 2003 and am glad that the battery is still good – it’s a matter of time until it’ll lose its charge and my save files.